Hope you are having a great week so far. 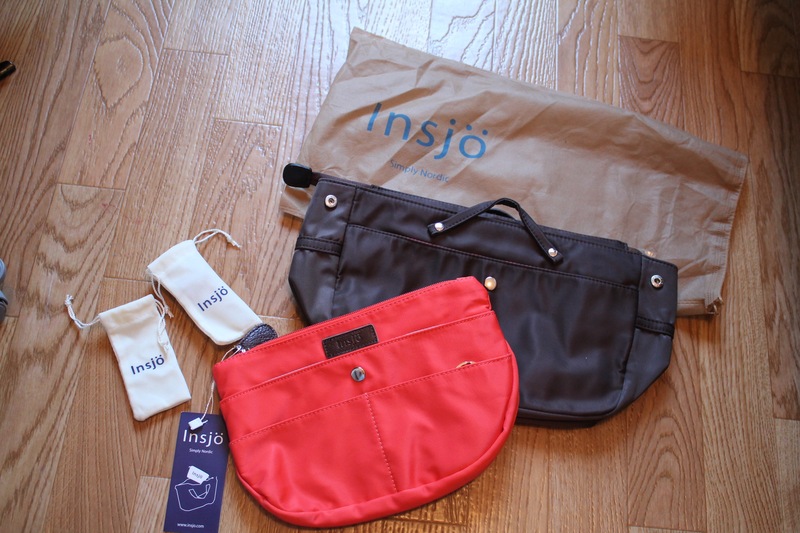 In today’s blog post I will show you two new lovely bags (see picture below) that were kindly sent to me from the Finnish company Insjö. 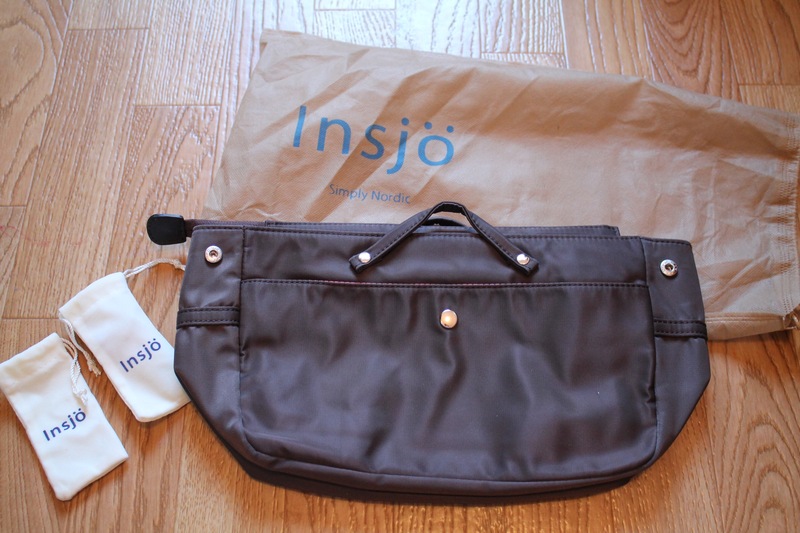 Insjö is specialized in “bagINbag” organizers which are basically bags that you put inside your handbags. These bagINbags are essential for women like myself who need to organise my everyday items that I carry in my bag, such as school supplies, makeup and other items. These bags make switching handbags more practical and easy, by simply moving the bagINbag with your important items without forgetting anything. The first bag is called Inari Hot Coral bagINbag which is a cute bag with a hot coral colour outside and lava grey colour on the inside. This bag is perfect for me as a makeup lover that always tend to carry alot of makeup products – this bag is great for organising such products. The bag is also ideal for carrying your phone, wallet, keys and other important items. The Inari bagINbag features a wider base to fit larger items, it also has two inside pockets with zip design. The second bag that I recieved is the Samiaa Chococlate Brown bagINbag which is a bigger bag that will carry more items. It has a chocolate brown colour outside with a raspberry pink colour on the inside. This bag is a great bag for traveling, as it carries more items. I think I will use the bag for my skincare products when I travel. The bag has a wide base and features six inside pockets. 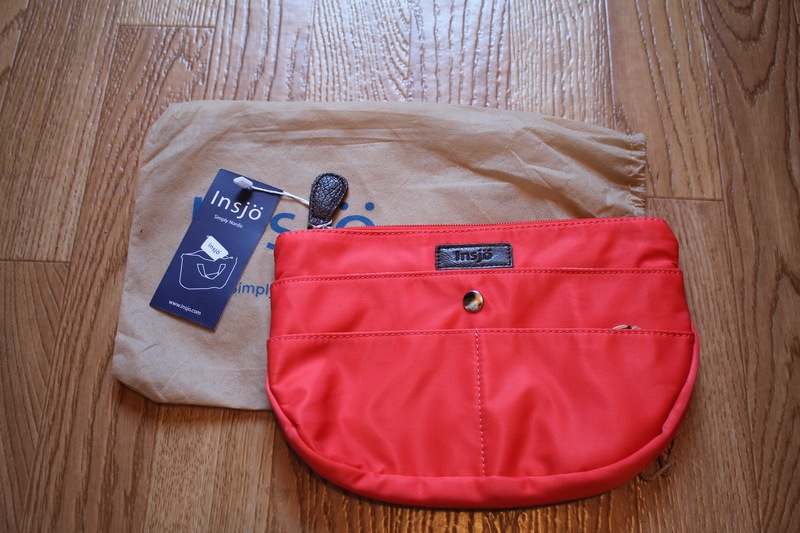 Both the Inari bag and the Samiaa bag come with key locks that are sold separately. What do you think of these bagINbags? These bags look great! ❤ They're so compact and versatile! 🙂 I love bags with a lot of compartments so these are perfect!